Whether you're purchasing a home or selling one, a lighting upgrade may soon be climbing your to-do list. 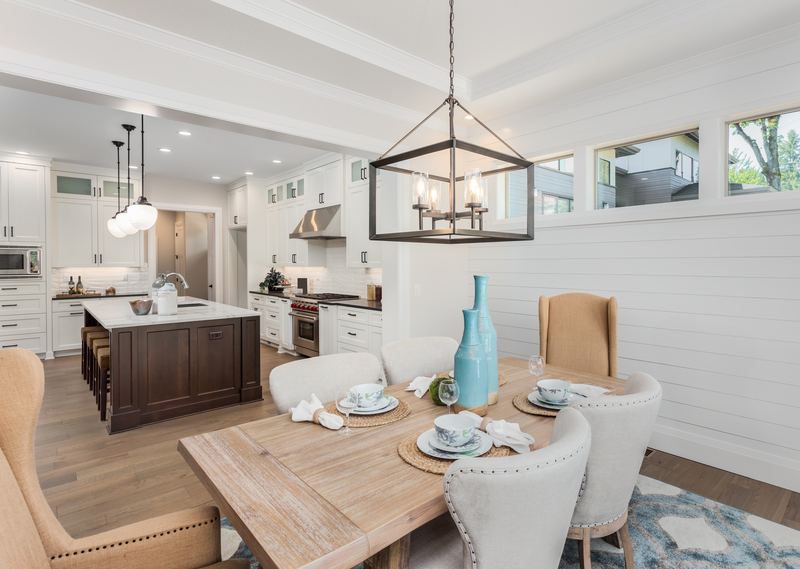 In order to modernize your lights and potentially increase your home's value for years to come, find light fixtures that not only gel with recent trends, but also have lasting design power. Statement lighting, as the name implies, is your opportunity to "wow." Suspended in an entryway, over the dining table or in the center of a living room, a well-selected chandelier can have a big visual impact. Statement chandeliers typically require a bit more investment, so it may be especially prudent to select a fixture you can imagine in your home for years to come. 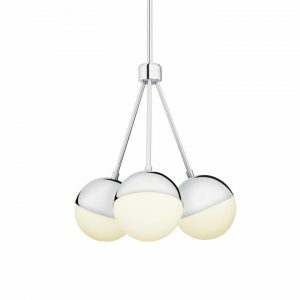 To make a visual impact that's contemporary and enduring, consider opting for mid-century modern lighting. This style has been a designer favorite for years now and has shown no sign of falling out of favor. 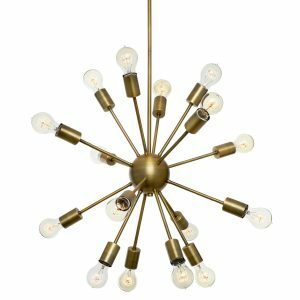 With its unprecedented ongoing popularity, mid-century is a safe bet for your home's most eye-catching fixtures. Due to its dynamic shape and the nostalgia of its namesake, a 1950s-inspired Sputnik chandelier is always a solid choice. For a more up-to-date look, select a finish like aged brass or warm bronze. Another mid-century element that is enjoying its time in the limelight is the white globe light. Paired with shades and rods in satiny finishes, globe chandeliers and pendants are a sophisticated and understated option. If you select an exposed-bulb fixture that's modern and streamlined, you don't risk going out of style and the bulbs, conveniently, do all the talking. 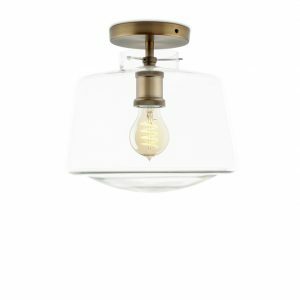 Whether you prefer vintage Edison bulbs or the aforementioned white globes, the beauty of this type of fixture is you don't have to commit to a trend forever. You instead have the option of replacing the old bulbs with newer ones as different styles are eventually in vogue. Task lighting is a bit more straightforward. If you're looking for task lighting that is timeless, consider the "less is more" mantra; a simple silhouette can transcend the ebb and flow of trends. For an easy update to your wall lights, opt for elegant, unadulterated sconces with clear or white glass shades and matching, contemporary finishes. When it comes to selecting ceiling lights for the various rooms in your home, flush-mount fixtures can be a great solution. Not all flush mounts are like those associated with rentals—outdated and garrish, with bugs collecting in the shade. These days, you can find plenty of flush-mount options in modern, tasteful silhouettes and finishes. In addition to being a fairly affordable alternative, some flush-mount fixtures are even outfitted with energy-efficient, long-lasting LEDs, saving you from a hefty energy bill and the hassle of lugging around a ladder to replace burned out bulbs. Lastly, with the flush mount's slim profile, it is a versatile choice—it can illuminate nearly all rooms, even those with low ceilings. With the installation of a statement light or two and matching, contemporary task lights, the whole look of your home can change. But take your time—think about what's not only timeless, but what really suits your tastes. You, most importantly, have to love it. With a background in design and lighting, Sheva Knopfler, along with her husband, David, launched Lights.com, an alternative shopping experience featuring modern, affordable, direct-to-consumer lighting. A fantastic information given on this blog. I really love your lighting decoration accessories. It looks awesome, many thanks to you.